Does Getting Out The Door Each Day Make You Feel Stressed and Exhausted? I used to feel the same way and I am here to tell you that it doesn't have to be this way! Imagine a morning where you actually get to enjoy your morning coffee and you are not rushing around feeling stressed. Imagine A Morning where you Actually get to spend a few moments with your kids and not just pleading With them to get ready. Imagine a morning where you Actually feel refreshed and Ready to start your Day when you head out the door instead of exhausted. Imagine a morning where you have everything you need without running Around in a million different directions. Imagine a morning where YOU actually have time for yourself to exercise, read, journal or meditate. With a few simple steps, this can be your morning! This is not about organizing the perfect space, it is about creating real-life solutions that make our days a little simpler and our minds a little calmer. Actually have a few minutes for yourself to start the morning on the right note! In just under one hour, you will learn how to create a greater sense of calm in your home as you receive customized solutions and systems for each part of your morning. Inspiration through a fresh perspective, new ideas and effective strategies to create the home you dream of. An home environment that supports more time, energy, savings and improved communication! My 15 years of experience in neuroscience, behavior modification and process improvement has allowed me to help many individuals get to root of the organizational issues in their homes and create the solutions that fit best. I have lead individuals, teams and organizations to create efficient systems saving hundreds of thousands of dollars and have transferred these skills and expertise to hundreds of homes. 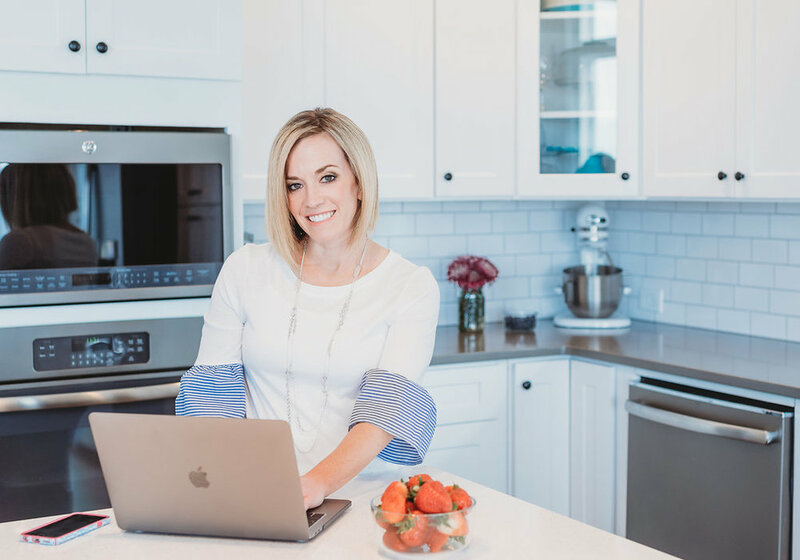 I am passionate about helping families and individuals to create customized organizational solutions that work in real life and allow them to show up as the best version of themselves and be present for the important moments. Pre-recorded lesson outlining step-by-step plans to create a morning routine and more calm in your home. You will improve your communication with family members when you don't feel as stressed by your environment. You will have the more peaceful mornings where you can connect with your kids instead of rushing them out the door. For all of the benefits above, my clients usually pay $825 for 1:1 services similar to this, but you will receive all of these benefits for $77. Don't waste another morning rushing around stressed trying to get everyone out the door in time. Take back control of your mornings - have less stress and more calm! My life is busy and I have limited. Will this work for me? I am a mom of 2 little ones and all about efficiency. I created the program with this in mind. You will have access to the video modules to watch at anytime. They take less than an hour to view and can be listened to in the car or while working out! I am a pretty organized person. How will this help me? This is not just about getting organized. This is about creating systems that help us to be more efficient in our homes. Even the best organized spaces, although they might look great, could be full of inefficiencies and are often hard to maintain. We will address both of these points. My family never puts anything away. Could this possibly work for me? Absolutely! I have a husband, who I love very much, but thinks a pile on the floor is organization! As we work through this program you will learn to look at behaviors we can work with and how to build systems that take this into account instead of organizing a space and then getting frustrated when they still won't put things away!! What kind of return can I expect to see on this investment? As noted above, there are many benefits and many that we cannot measure such as the impact our environment has on health and associated costs as a result of the stress and anxiety . Most importantly, being calm and present is priceless. Basically, there are many costs that we may not measure directly, but far exceed $77. What does the program look like? As soon as you sign up you will have access to all of the modules, worksheet and resource guide. You can view it all in one sitting, in separate viewings and as often as you choose. The course is designed to offer you solutions to quickly implement and start seeing the benefits.